this is my build of the R1 Mon Cal officers (Shollan). 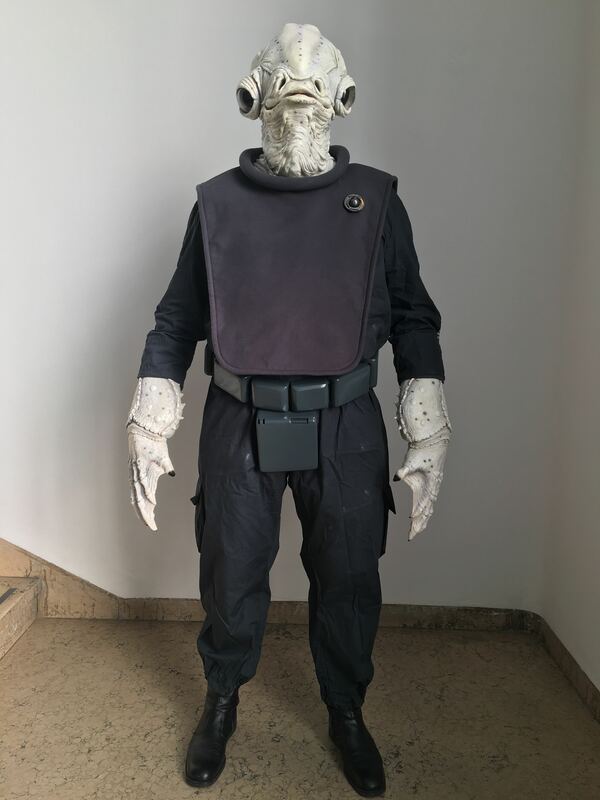 As references, I've followed the pictures of the costume taken from the movie, from the Rogue One: A Star Wars Story "Creature Featurette" in YouTube. 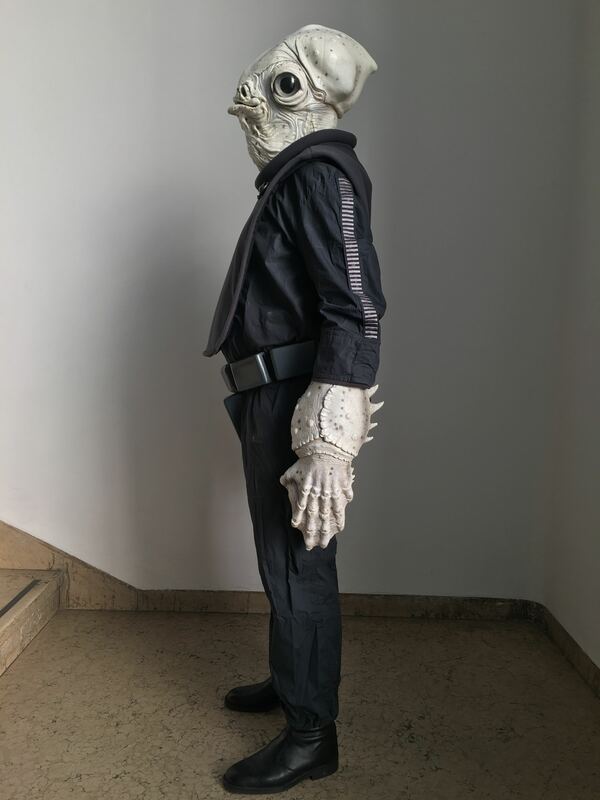 For the back of the costume, as there is no picture in the movie, I followed the Admiral raddus back from the action figure (even for the admiral there are no pictures of the back as far as I know). Now: I have a question as I submitted my pictures for the approval of my costume, but I have been said by the judge that " the problem now is that there is no view of the back of the costume. 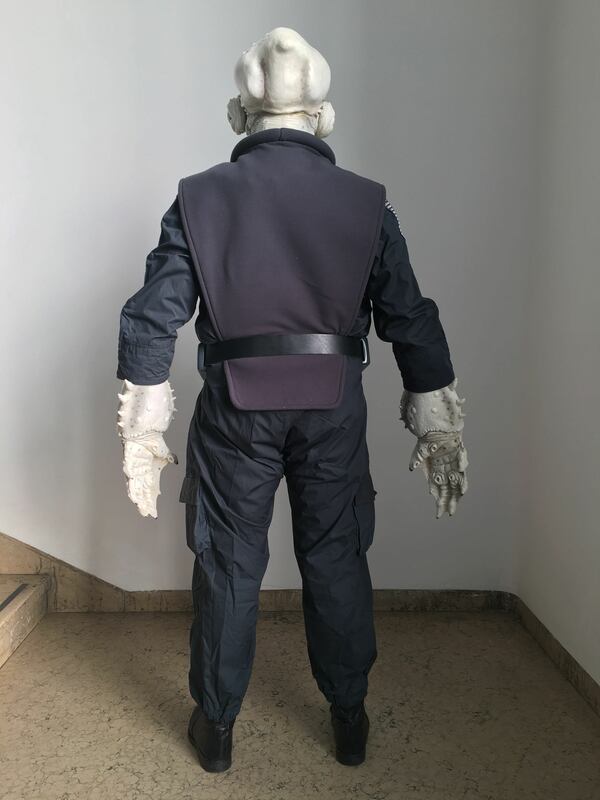 To approve any costume without a standard, the Rebel Legion charter does require a front to back and head to toe reference." Let me know your comments, please. Not properly the best place to seek advises or answers on costumes, the rebel legion forum. Here's a link to the reference images I put together for a friend who did Raddus. 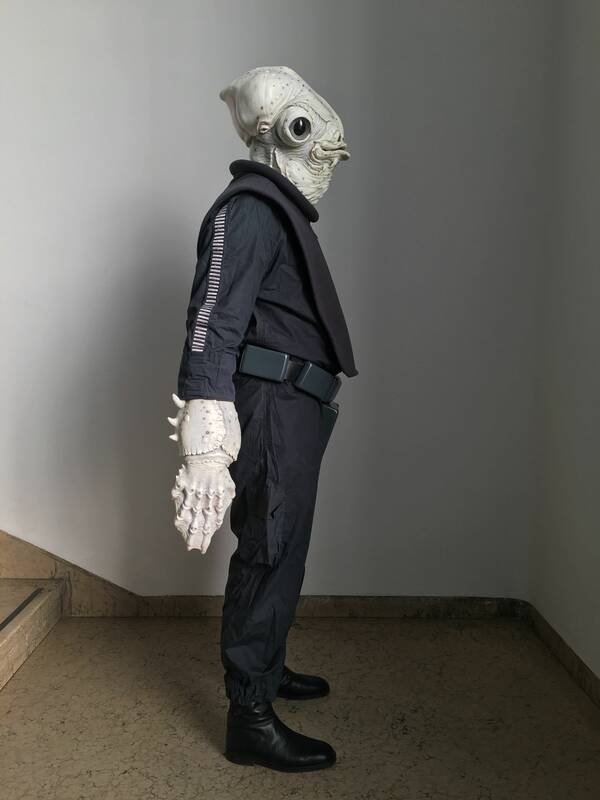 Some of the other Profundity Mon Calamari are also visible, and if you make sure to click on the images themselves (don't take the thumbnails at face value) there are several back shots. I need to take a closer look at the reference images, but I think you'll want to look more closely at the knees. 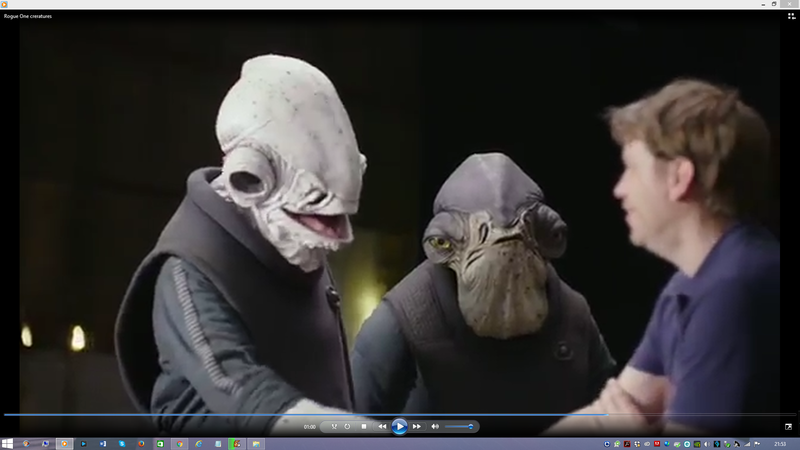 They look like they may have some of the same padded kneepad type detail that some of the the troopers do. Raddus's definitely do. Thanks Kristina for your answer and pictures, I already searched in star wars screencaps, but there are no pisctures of the back, I mean legs and lower back. 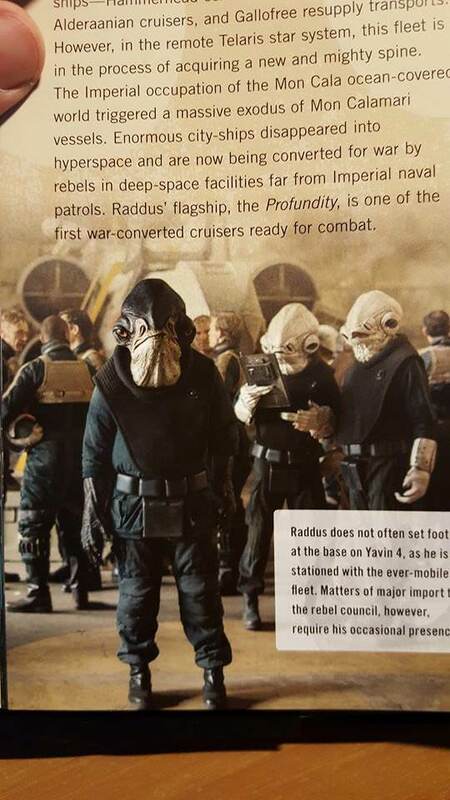 For the vest, I'm persuaded it is very different from raddus (a single jump suit as you can presume in the picture of the visual dictionary I posted above instead a two pieces vest as worn by raddus). I think at this stage I will never find reference pictures.